Nitish Kumar called for "separation of law and order from investigation process at the earliest" and focussing on "not just the number of crimes but also the nature of crimes". 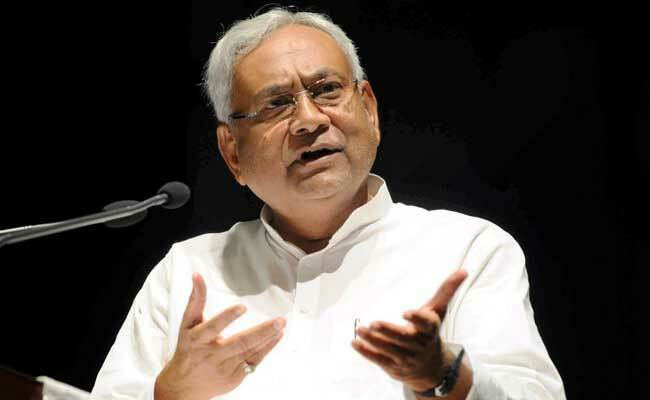 Bihar Chief Minister Nitish Kumar on Wednesday underscored that ensuring rule of law was the state government's "constitutional obligation". The Chief Minister made the remark in presence of top officials, including Chief Secretary Deepak Kumar, Director General of Police K S Dwivedi and Principal Secretary (Home) Amir Subhani at a marathon review meeting of law and order which lasted for close to six hours. Mr Kumar called for "separation of law and order from investigation process at the earliest" and focussing on "not just the number of crimes but also the nature of crimes". He also highlighted the need for keeping a close watch on incidents related to communal strife, especially in view of the forthcoming festivals of Muharram and Duessehra and issued instructions for proper sensitization. Expressing satisfaction that incidence of communal strife had dropped in many places, the Chief Minister, however, noted with alarm that such incidents have taken place, in the recent past, in parts of the state with no such history. "There must be special focus on sensitive areas. District Magistrates and Superintendent of Police should personally visit such places and interact with respective peace committees. Speedy trial of communal violence must be ensured and the guilty, whosoever they may be, must be brought to justice", Mr Kumar said. Notably, the state has been rocked by many incidents of communal clashes this year - especially during the Ram Navami festival in April. Mr Kumar had drawn flak over the incidents by the opposition which had accused him of having capitulated before the BJP which is his ally. The Chief Minister also expressed concern over attacks on policemen by sand mafia, land mafia and other anti-social elements and called for "tough and speedy action against such intolerable acts". He also asked officials to adopt the latest technology that might be in use for policing at the national level and ensure that forensic examinations were carried out within the stipulated time limit. At Wednesday's meeting, all top officials posted at the police headquarters and Inspector Generals of different zones were present. Divisional Commissioners, DIGs, DMs and SPs were also connected through video conferencing.